Halo 3 | Binary Messiah - Reviews for Games, Books, Gadgets and more! Note: This is a re-review due to my original Halo 3 review being very brief and not up to par with how I write these days. 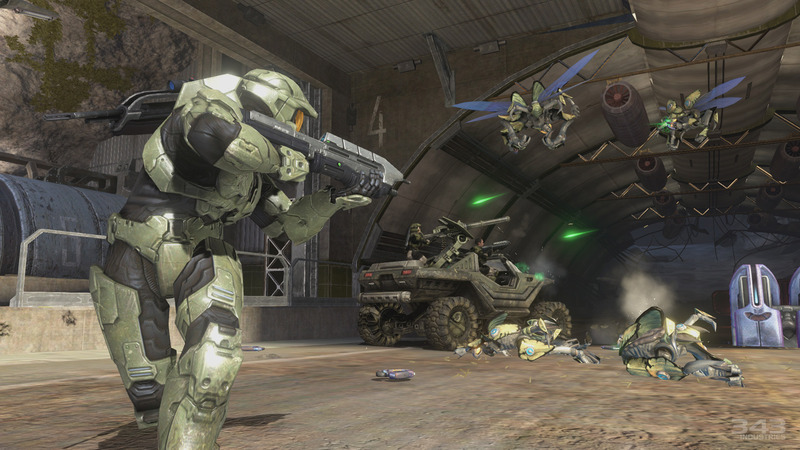 Nearly four years in the making, Halo 3 was one of the most anticipated games of the last generation console launch. While it didn’t quite make the November 2005 360 launch, it did garner huge sales and broke records at the time. I remember playing Halo 3 shortly after release and thought it was the best of the trilogy. Now, after playing Halo 1 and 2 remastered I have to say 2 still stands superior. While Halo 3 is better balanced and has a better dual wielding system, it’s shorter in length and feels like too much of the same. How many times do we have to “stop” the Flood? How many Halo rings do we have to land on? It keeps boring and tiresome and for me, the series has hit a fatigue plateau that it needs to get out of. While the Brutes are a more relevant enemy and there are more Flood variations — I’m still tired of it all. Despite those complaints, the game is still solid no matter what. It’s challenging for sure, and there are some added elements that change it up just enough to justify calling it a sequel. Remember those giant Scarabs from Halo 2? Now you get to battle several of them in the game. We can now drive Scorpions, new Covenant vehicles such as Choppers, but sadly we can no longer drive Wraiths. These balancing tweaks help make the gameplay better just like only certain weapons can be dual wielded. 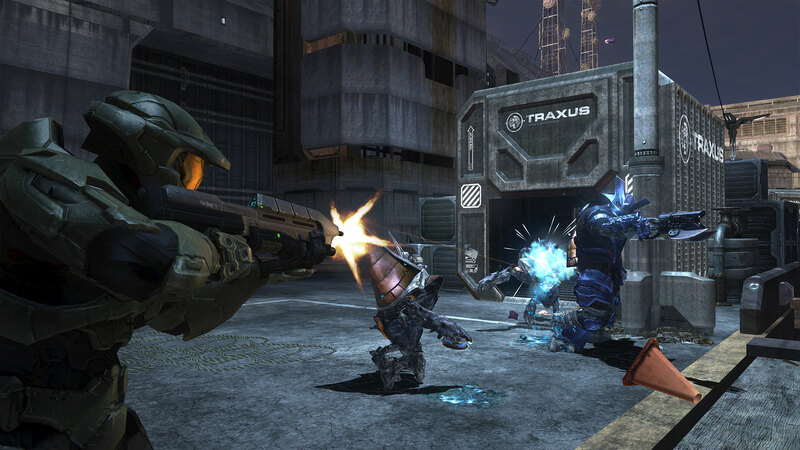 Dual Needlers can still be rocked around as well as Brute machine pistols, Brute shotguns, more energy weapons are available, as well as improved UNSC weapons. The game is shorter than the last games, but each level is completely different. One level has us on a Halo ring, another on the derelict Ark, so it doesn’t get too boring, but everything is very familiar. The whole point of the game is to stop the Flood and the Prophet of Truth from firing the Halo rings and killing everything in the galaxy. While the story is just as brief as the last games, I still found myself disappointed in not seeing or hearing about more lore. The series hasn’t exactly been expanded upon just stretched out through the trilogy which I felt was disappointing. Graphically Halo 2 remastered looks better than Halo 3, but this isn’t a surprise. 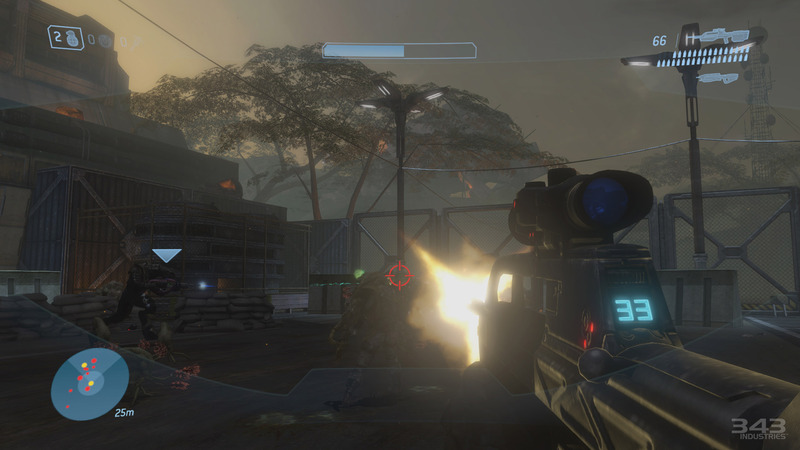 Halo 3 was criticized for not having “next-gen” graphics at the time of launch and was claimed to just being marginally better looking than Halo 2. Halo 3 doesn’t get a remaster here and the gorgeous pre-rendered cut scenes are gone which is a huge letdown. Honestly, Halo 3‘s graphics are kind of all over the place with decent character models, but some textures look awful in spots and the physics seem weird and too floaty — even for Halo standards. Halo 3 received some lighting enhancements and certain areas look pretty good (mainly outdoor areas) but don’t expect to be wowed by the looks of this game at all. Overall, Halo 3 does what it was supposed to — let us finish the fight against the Covenant Prophets and the Flood. The ending is satisfying enough and I felt the game was shorter than previous installments, but somehow just right for this game due to the samey feel it has. Sadly, the game was not remastered and feels inferior to the remastered version of Halo 1 and 2. There’s just enough variety and changes here to make it feel like a sequel, but not the earth-shattering sequel that Halo 2 was.